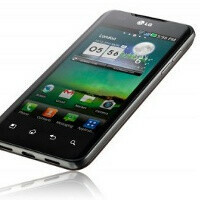 The LG Optimus 2X is not going to get updated to Android 4.0 Ice Cream Sandwich, LG has confirmed via its Facebook page. “Dear Anant, We will not be introducing Android 4.0, Ice Cream Sandwich updates on LG Optimus 2X P990. Keep watching this space for further updates,” LG replied to a question. Now, that’s not a huge surprise - LG hasn’t even brought Android 2.3 Gingerbread to their dual-core Optimus 2X. It’s interesting to see, though, what’s the reasoning behind such decision from LG as Samsung in contrast has said that all previous devices with enough horsepower should be compatible with the 4.0 update. The LG Optimus 2X was the very first handset to arrive with a dual-core processor, and it’s a bit more affordable than the rest of the dual-core crowd. At the same time, it offers top-notch specs, so it’s really a pity it won’t get Android’s latest version. This takes LG completely out of my consideration for any future purchases. This seems like a decent sized mistake for them. LG has made some phenomenal featurephones (I've owned 3 and loved them) and used to be my top choice, but smartphones seem to be an afterthought for them. they used to make all the best phones on VZW.. they are just sliding. Sorry but that phone is what.. 8 months old? its never gotten any support. Now what about the G2X?? LG started out stock with the Ally, and that was one of its better qualities. Why do they feel they must keep up with TouchWiz? I'm pretty sure bing is gone from Verizon's new phones. The LG Enlighten and Samsung Stratosphere both use Google apps. It's LG's TouchWiz-alike Optimus skin that's the problem. So perhaps there is hope for the G2X. i was legitly interested in the LG Revolution when it was thought to be a Verizon 4G LTE version of the G2x but they ruined it in every possible way. Remember when the LG Voyager and LG Dare were the best phones on the market? even the enV Touch had it's days in the Sun. remember the Versa? yea i worked for VZW when the voyager launched.. that phone sold tons and tons. Snapdude, they may indeed be having software development issues. If thats the case then they need to stick to stock sets and update them quickly with the latest updates. Give themselves a reputation of a fast stock alternative to a nexus phone. If i was the head of a struggling company, thats what i would do. Especially since so many android users complain about update drama from the other big 3 manufacturers. Google gives manufacturers all the tools they need.. they just dont seem to want to use them for some reason. Really. LG is not in my views for any future purchase. Who wants a new phone with old os when he is paying a lot for it? Anant, your question should be: "Will Optimus 2X P990 ever get official Gingerbread from LG?" LG = great hardware, crap software. Isn't the current pecking order Exynos > OMAP 4 > Tegra 2 > Snapdragon S3? Although Qualcomm has leveled the field a bit by upping the S3 clock speed to 1.5 Ghz. that's right. the S3 clocked at 1.5GHz is more powerful sure but remember higher clock frequencies also equal badder battery life. let's hope that MSM8960 is a week away. We'll see... but judging from the girth (yes, I said girth) of the Rezound in spy pics and benchmarks showing an Adreno 220, it'll be an upclocked 1.5 Ghz 8660. I think all the LTE-imbedded chips are for next year. well it's going to be really bad then. Welcome to Android, where you get a 2 year contracts on phones that are obsolete in 3 months. By the logic of Michael's article, being a ~1 year old high-end device the Optimus 2X should absolutely be getting ICS early next year. The fact that it isn't supports my claim that LG is at fault. The problem is not just LG - its also the carrier who has to clear all updates. Its also the fact that Android provides no assurance, and has no connection with customers. If you use Android you get the worst of the phone maker and carrier. Either one can screw up the phone - and usually do; either with crapware or a hopelessly buggy release (I suffered with the original GB from Moto on a DX and DX2 for months of daily random reboots). Android/Google is hands-off and does not care about the consumer. But again, you're blaming Google directly for Verizon & Motorola's software/bloatware decisions. True, Google's hands-off policies allow provider/manufacturer abuses, but I'd rather it remain open for the manufacturers who do it well.